Some of the larger Asda stores now sell large boxes of wonky vegetables. Basically, these are vegetables that don’t look perfect and would have normally been thrown away. There’s nothing wrong with them, they still taste exactly the same, there’s no actual damage as such. They’re just a bit…wonky. These boxes cost £3.50 and are all slightly different. Despite knowing this and our Asda being involved in the scheme, we’ve never actually seen one. Until today. They had probably 10 boxes. So, we grabbed one before they sold out. We planned to make a wonky vegetable soup. 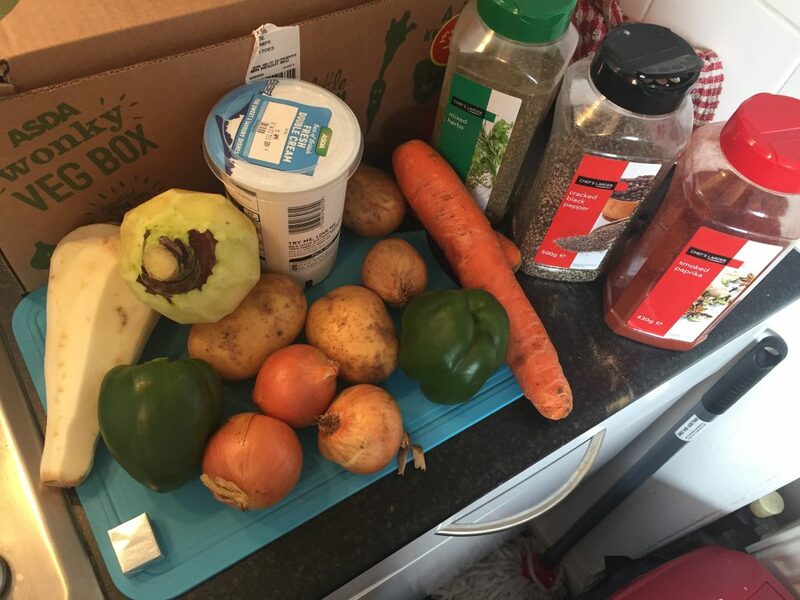 However, upon opening the box we realised we weren’t just going to make a wonky vegetable soup. 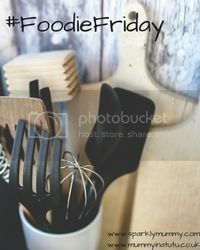 We were also going to be able to make coleslaw, a risotto and some potato salad. In most cases, with just a few added extras. I think these boxes are a brilliant way to reduce waste, save us money, and get us trying new flavours. I couldn’t recommend them more. Of course, while mine is a wonky vegetable soup yours could be made with pretty vegetables. As not everyone has access to wonky veg boxes. Upon seeing the swede inside the box I said: “I don’t like swede, let’s get a different one”. Hunky Husband, however, assured me that I would like it in a soup. He was, of course, right. Firstly, peel and chop all of the vegetables and add them to a large pan. Make up the veg stock cube to packet instructions and pour over the vegetables. Add enough water to cover. Generally, we find this is around 500ml stock, 500ml water. Place the pan over a high heat and bring to the boil. Reduce to a simmer and leave for 30 minutes, until everything is nice and soft. The potatoes often take the longest, so test one. 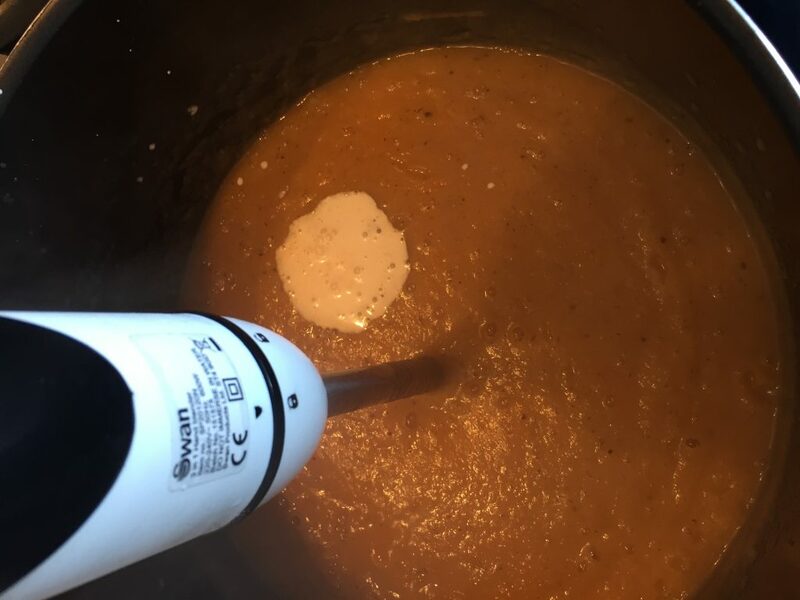 Remove from the heat and blend using a stick blender. Return to the heat. Add cream, paprika, herbs and salt and pepper to taste before mixing everything together well. Blend again if it needs it. Return to the heat and simmer for a further 10 minutes before serving. Soup is so often seen as a warming winter lunch. But to be honest I like it all year round. We eat hot meals in summer, so why not soup? Slightly spicy vegetable soup made from a wonky veg box! 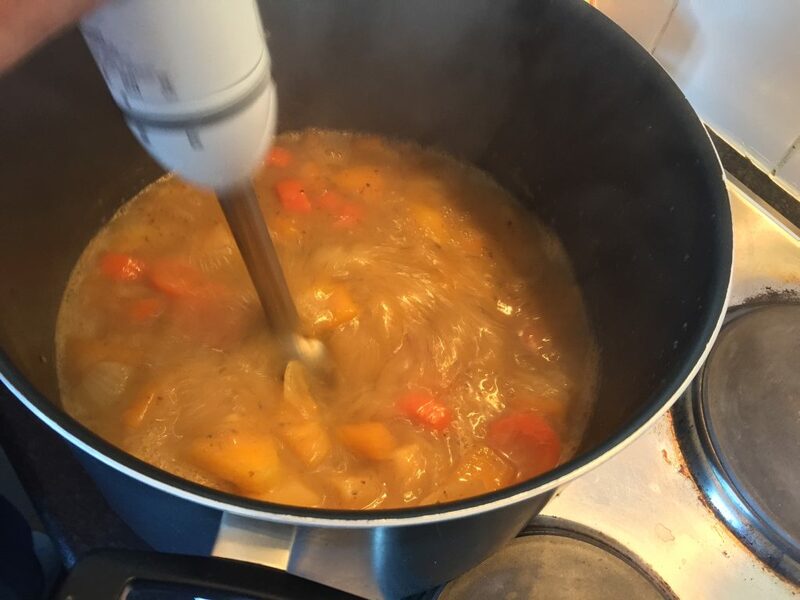 I love veg soup and agree with your husband, swede is tasty in a soup! 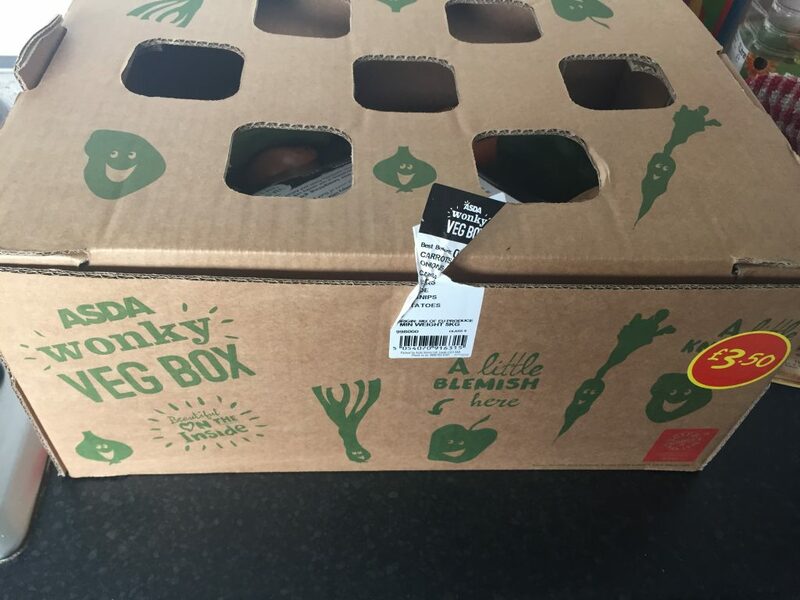 I haven’t seen the wonky veg boxes in Asda will look out for them it’s a great idea. Which veg did you use for the risotto? Just the leeks from this box. We had chicken leek and mushroom, with a bit of added cream and some French mustard. It was gorgeous! And you are both right about the swede!! no me either. You just chop them up anyway! There’s a list on their website I think. Ours rarely actually have any though. You really should, it was so much fun opening it and finding out what we’d got! They do, I feel like I’m rescuing them! We’re out of soup season now, but I think we’ll carry on! 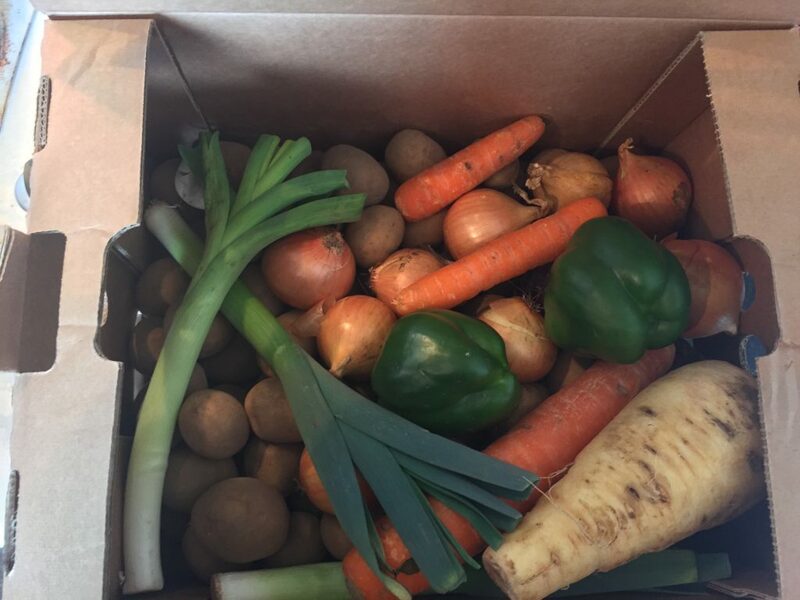 they sometimes have wonky veg boxes in our local store and when they do I always grab it – who cares about a wonky carrot. Looks delicious. They’re amazing aren’t they? Something that definitely needs to happen more!